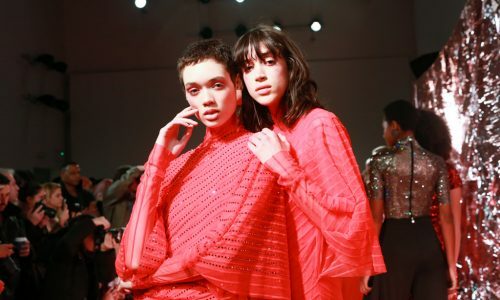 This season, PRONOUNCE – founded by Milan/Shanghai-based duo Yushan Li and Jun Zhou – channelled artist Thomas Mailaender’s creative use of light in his “Illustrated People” photographs, which inspired the designers to explore the abstract relationship between light and individuals. 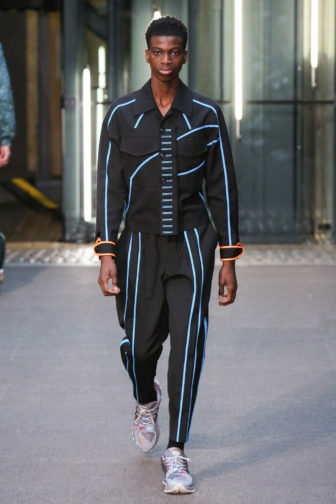 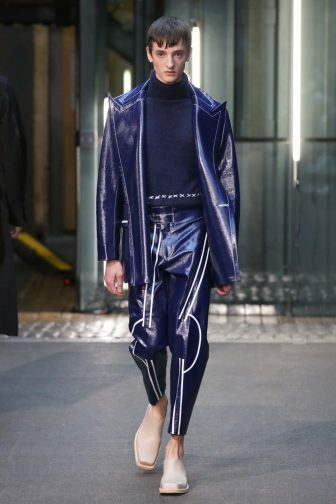 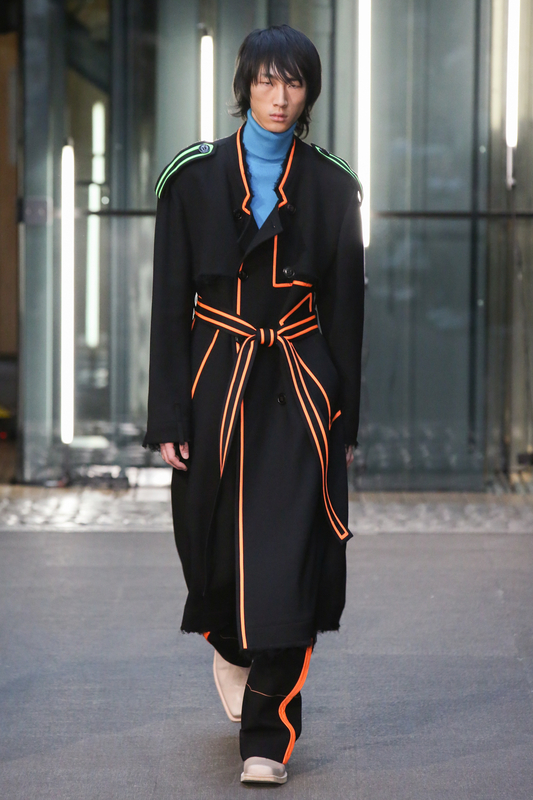 Relaxed tailoring was juxtaposed with standout neon piping hand-sewn down tapered trouser legs, belted coats and oversized blazers in midnight blue, creating structural lines like laser beams of light and likening the look to the futuristic aesthetic of Tron. 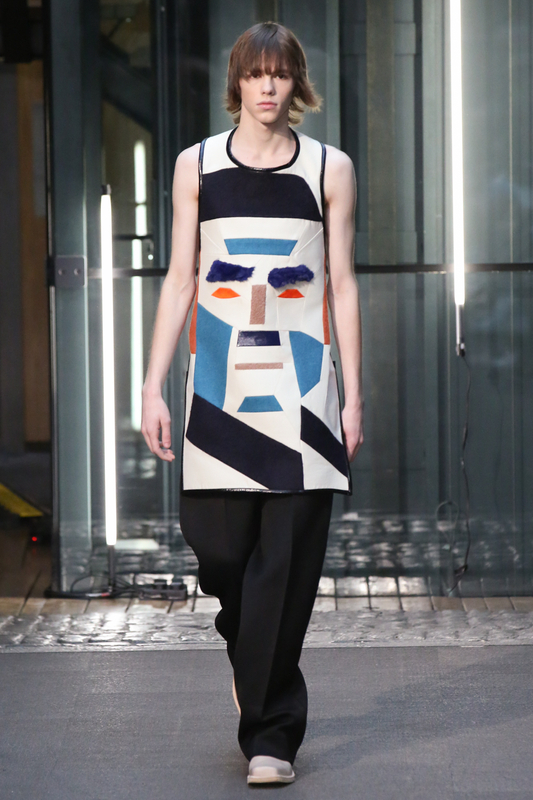 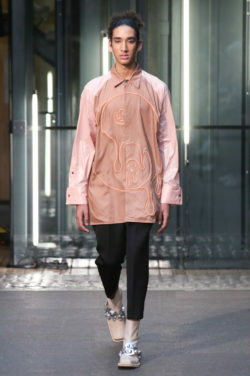 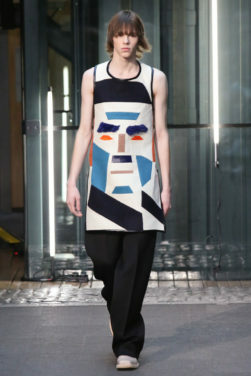 Streamlined silhouettes mimicked the modern masculinity of the collection, as evident in a longline cotton shirt, glossy PVC jacket or a sleeveless, round-neck tunic, which illustrated one of a range of abstract faces developed under several Chinese influential figures, celebrating each talent in a wonderfully colourful geometry. 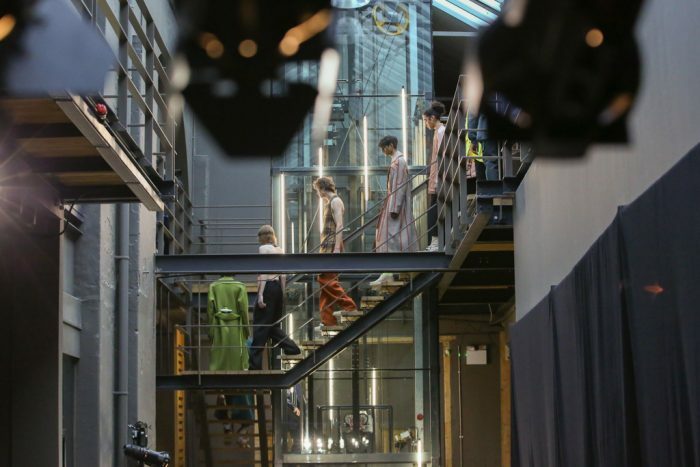 The mostly clean, modern approach was met with allusions to handcrafted heritage. Supersized toggles were used to fasten hand-knitted cardigans and duffle coats in muted hues of oatmeal and slate. 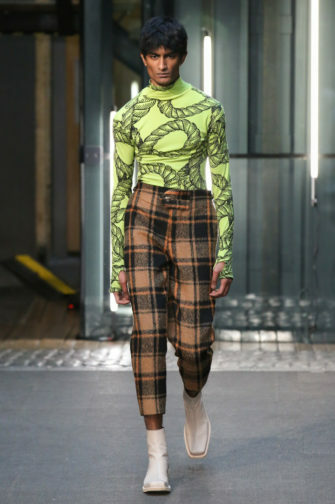 The odd pattern clash of rope meandering around a lime green turtleneck was paired with a slightly more sombre earth-toned tartan. 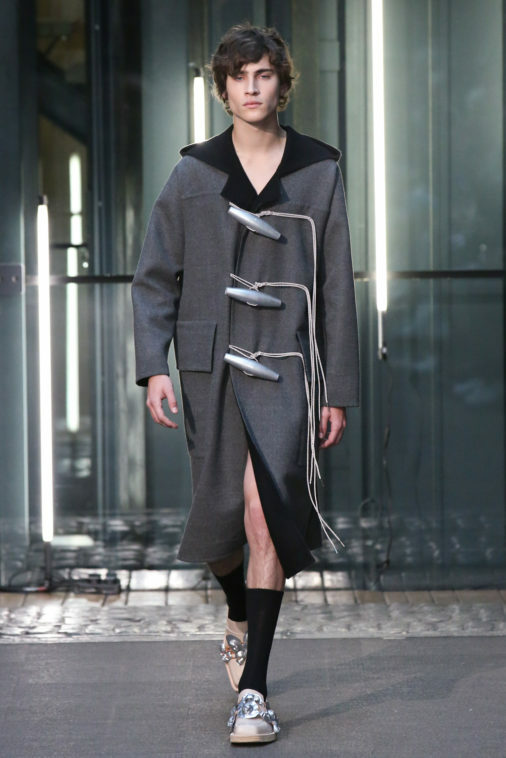 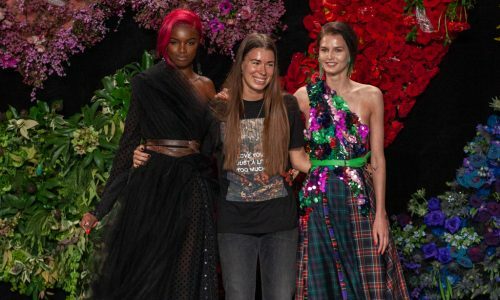 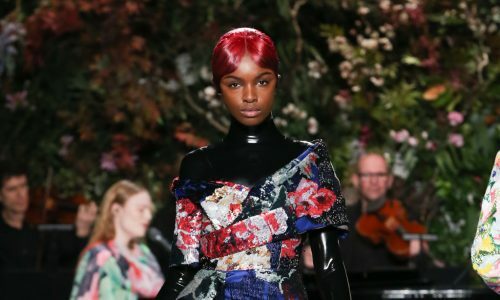 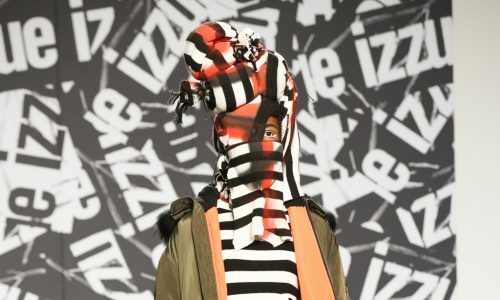 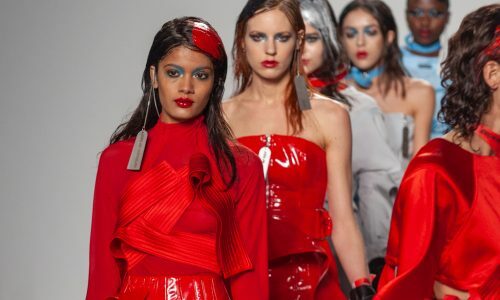 Although this choice seemed a touch rebellious given the collection’s generally minimalistic, contemporary style, it didn’t disrupt from the overall creative direction. 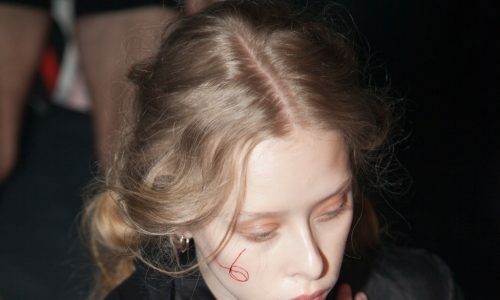 The thoughtfully artistic collection was defined by conflicting and transitional states: functional and decorative, truth and fiction, mimicry and uniqueness.